Celebrating the Year of the Snake (Lunar Year 4711), the Southwest Airlines Chinese New Year Parade will be held on Saturday, February 23, 2013. Stepping off from 2nd & Market at 5:15 PM PST , more than 100 entries will participate. This beloved and breathtaking San Francisco tradition has been going on for over 60 years, warming hearts and electrifying the senses with its gorgeous floats, traditional costumes and fantastical creatures. One crowd favorite, the Gum Lung (Golden Dragon), is a stunning 268’ long and takes a team of over 100 men and women from the martial arts group, White Crane, to carry its undulating form through the streets of San Francisco. This year brings a new parade route beginning at Second and Market Street, going up Post to Powell, turning right on Sutter to Kearny and ending at Columbus. 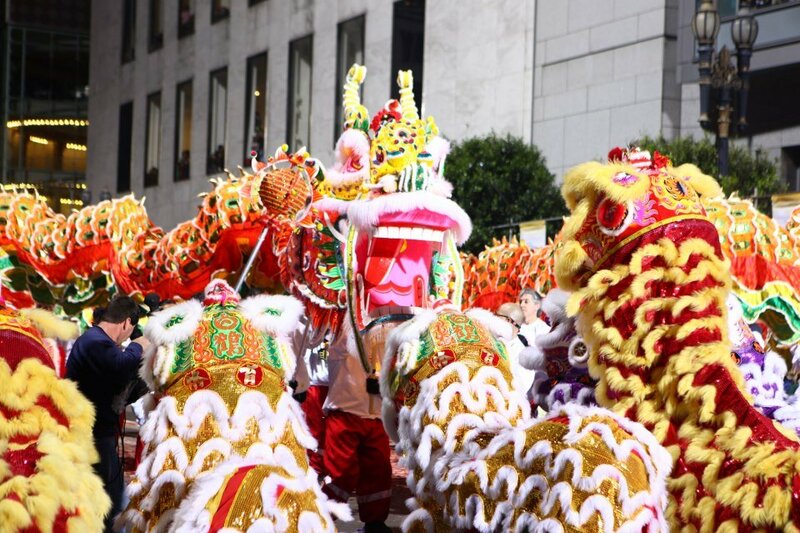 This is the largest Lunar New Year celebration outside of Asia. The New Year Parade is one of the finishing touches of a two week celebration and festival that includes the Flower Fair, Community Fair, Jamboree, Run and the Miss Chinatown USA Pageant and Ball. February 23, 2013 at 5:15 PM. 2nd and Market Street, San Francisco.